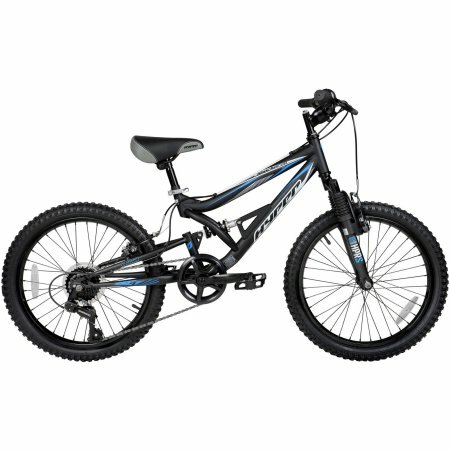 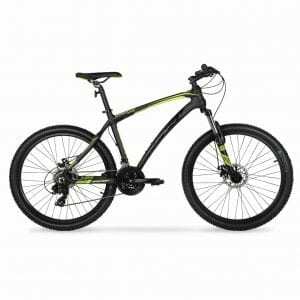 The 20″ Hyper Bike is ideal for boys who are looking for their next adventure. 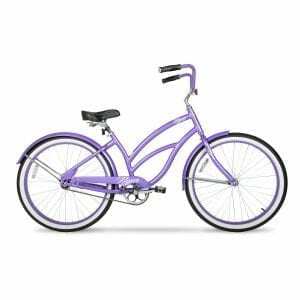 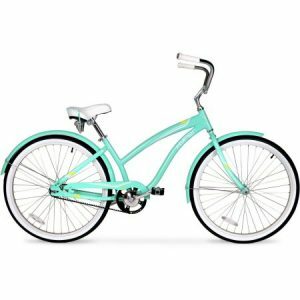 Featuring a dual suspension steel frame and fork, rugged knobby tiers and an easy-to-use, seven-speed twist-grip shifting, it is ready for any surface on or off the road. 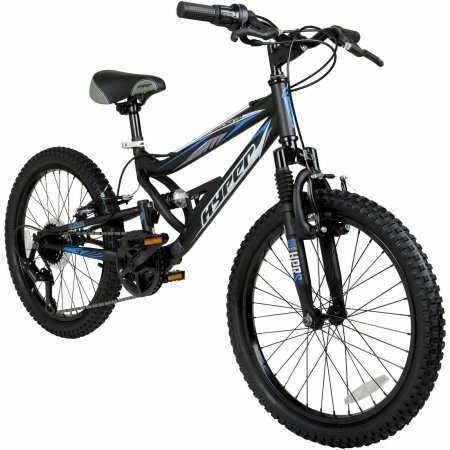 Little ones are sure to have fun riding in the park or the trails. 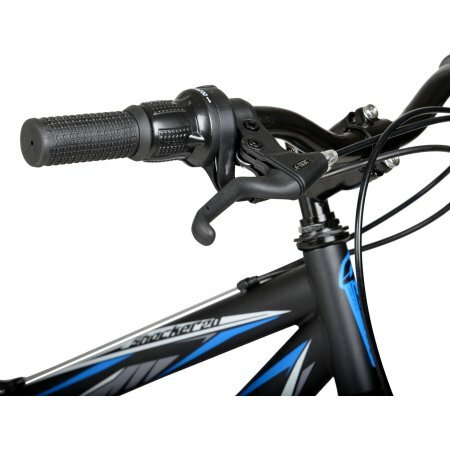 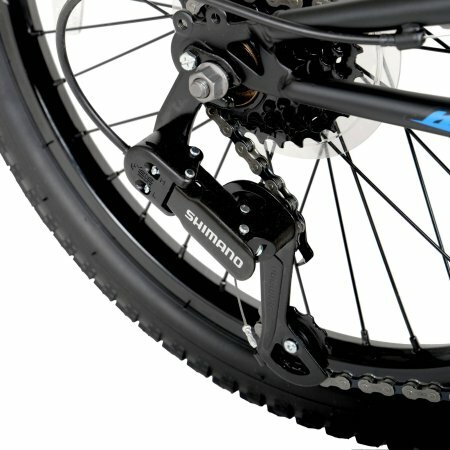 This Shimano bike also has powerful linear pull front and rear brakes, a deluxe padded MTB seat and an alloy quick-release seat clamp for easy height adjustment. 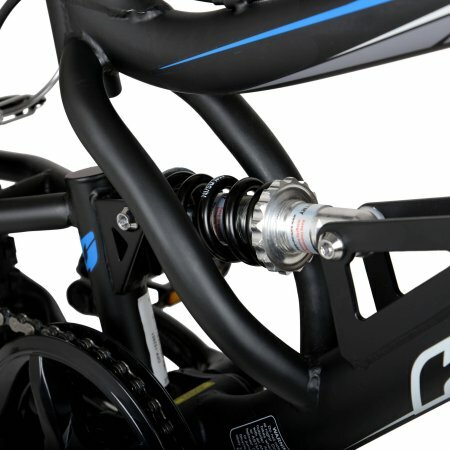 Other components include spoked wheels, resin platform pedals, a rear derailleur and a three-piece high-performance crank. 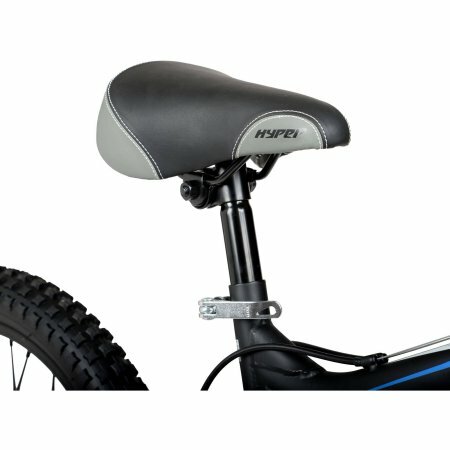 It will deliver a comfortable ride every time. 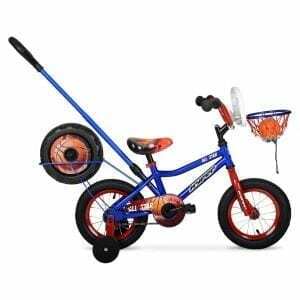 The authentic Hyper graphics complete the look and give this 20″ boys’ bike a stylish appearance.